As mentioned (link 1, link 2) and I've seen on the ArtScroll Talmud series (though I don't have a picture to support the fact), the Mishnah/Gemara "begin" with Masekhet Berakhot. Why was this order decided upon? Why not have written the Mishnah/Gemara following the order of subjects in the Torah instead (or some other order)? 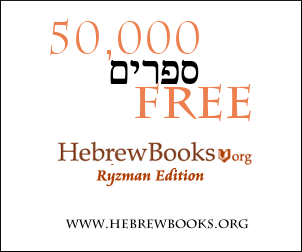 The Rambam, in his introduction to his commentary on the Mishnah writes that Seder Zera’im, which addresses the mitzvos of the Land (Eretz Yisrael), was placed at the beginning of the six Orders (Sedarim) because it deals with the halachos of food from the vegetable kingdom, which is the foundation for all living existence. Brachos was included in Seder Zera’im as it deals with birchos hanehenin1, without which, it is forbidden to benefit from food. The Rambam explains why Rebbe began the Tractate with the mitzvah of kerias shema: Since it deals with birchos hanehenin, Rebbe also arranged the other blessings and prayers, including the brachos of kerias shema. It is only fitting to learn about the brachos of kerias shema after learning the laws of kerias shema itself. Shiltei Giborim cites the Ri’az, who suggests the following explanation: Rebbe began with the mitzvah of kerias shema, which is the unification of His Name, as the verse says: The beginning of wisdom is the fear of Hashem. The Vilna Gaon in Shenos Eliyahu writes that the Talmud started with the mitzvah of Krias Shema because this is the first mitzva in which a person becomes obligated, as it begins at nightfall, and will therefore be the first mitzvah they encounter in adulthood. R' Tzaddok HaKohen in Tzidkas Hatzadik explains that blessings express our acceptance of Hashem's rulership, as we declare "Hashem our G-d, King of the universe," and the Talmud therefore begins with the acceptance of Hashem's rulership. Not the answer you're looking for? Browse other questions tagged talmud-gemara mishna tractate-brachot . Where to buy a shas/talmud in one volume? Why does the Mishnah in Pirkei Avot 3:2 end in a pasuk without a straight up answer? What is the pasuk trying to teach us? Why are Masekhtot referred to by content while Humashim by their first word(s)? What's behind the disagreement about the first words of the blessings immediately before Shema?